Elite women’s awareness of issues that affect women can have ripple effects that positively influence many non-elite women. In recent months, two new “third-wave feminist” writings have become the talk of the town: Anne-Marie Slaughter’s Why Women Still Can’t Have it All and Sheryl Sandberg’s Lean In: Women, Work and the Will to Lead. Critics have argued that such “elite women” are too concerned about their own affect — personal satisfaction, prestige, comfort — and too little concerned with issues of social justice. Specifically, critics are dissatisfied with Slaughter’s and Sandberg’s inadequate attention to more fundamental, structural disadvantages (livelihoods, equitable pay, working conditions) of non-elite women. However, the voices of such “elite women” bringing these issues forward for discussion is one of the ways that forest-dwelling (and other “non-elite”) women can strengthen efforts to move forward on related issues of concern to them. “Elite women” talking about the need for help with childcare, a more equitable division of domestic labor, a stronger political voice, in some sense “gives permission” to others to discuss these issues that are of central concern to women in a variety of circumstances. As an anthropologist who has lived and worked with rural peoples throughout the forests of the world for over 40 years, a fair amount of my professional attention has been focused on the lives of women in tropical forests. These experiences have convinced me that these women are not so very different from elite women. Forest women take pride in their productive work, and they struggle with their desire to better look after their children – what we call “work-life balance”. 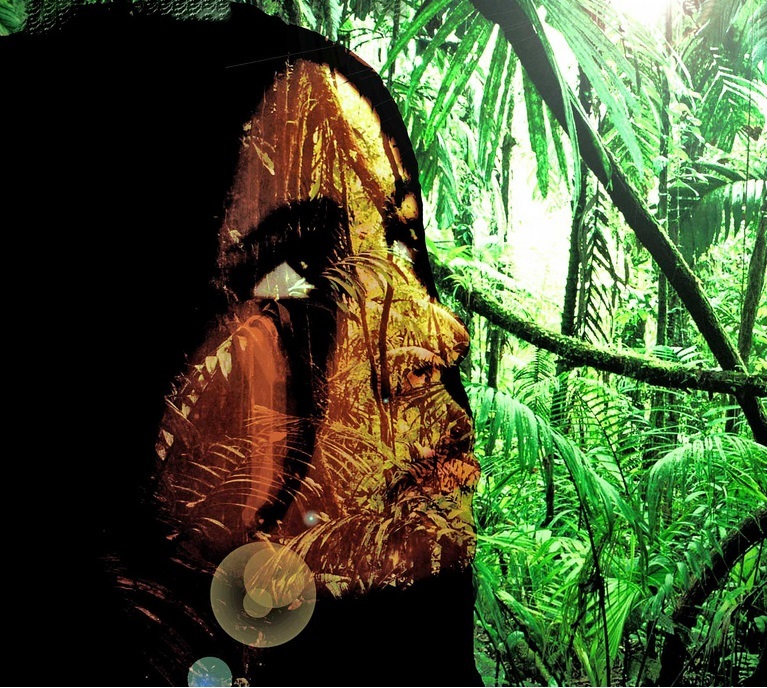 For over a year, I lived with Uma’ Jalan Kenyah women in the remote center of Borneo. When introduced to birth control, they quickly grasped the potential to time births when husbands were present (their men often left in short-term search of cash), and to reduce the time spent nursing their children, thus freeing them for their central productive role: providing their families with rice. They are every bit as personally invested in this role as elite American women are in their careers. Forest women seek wealth and prestige – what we call “ambition”. Women in Indonesia’s forests are seen as better than men at taking care of family resources. They are thereby intimately involved in family efforts to gain, maintain, and sometimes hide wealth. In many parts of sub-Saharan Africa, women and men in the same household keep their incomes separate; and women are actively involved in efforts to make money selling non-timber forest products and agricultural produce. “Poor women” want knowledge, intimacy and self-actualization – what we call “affect”. The care taken by Kenyah women to produce beautiful beadwork goes far beyond what is required by practical standards. Although prestige accrues to those who bead well, it is also clear that they take pride in the quality of their work – just as we may delight in our professional or personal efforts as an element of self-actualization. I also remember a young woman in the forests of Jambi, Sumatra, who cried as she recounted how her parents had taken her out of school to marry (even though she loved her husband); she longed to study, to learn. She worked with our CIFOR project partly to fulfill this longing to learn and to contribute. Forest women, like elite women, have work-related emergencies that can interfere with their family responsibilities. Slaughter emphasized having to stay late at the office, which both required emergency childcare arrangements and conflicted with her desire to take good care of her children. Among “poor women”, the emergencies are more likely to be brought on by weather conditions or warfare or poor health. But such emergencies are no less demanding of women’s wholehearted attention. While I was living in Borneo a terrible flood came, ruining the rice on which the women had labored for three long months. In the midst of their dismay about their lost effort and worry about their future, they had to quickly gather the wood floating by in the flood (to use as firewood); and from their canoes, they paddled from submerged rice stalk to rice stalk, harvesting the edible grasshoppers that were feasting on whatever grains of rice remained. Someone else — usually either an elder or a young child, too sick, weak or untrained to help in the emergency — had to be found to look after the children, wash the clothes and prepare the meals. What is the difference, from the standpoint of work-life balance, between these emergencies and those requiring an elite woman to return to the office for a late-night meeting? One difference is that the former may be one of life or death for an individual or a family. But the latter could, as Sandberg so eloquently portrays, be the difference between policies that harm or help women employees in a company or women citizens in a country (depending on the scale at which elite women contribute). Elite women’s awareness of issues that affect women can (though does not necessarily) have ripple effects that positively influence many non-elite women. There is no doubt that far greater attention needs to be focused on revamping global structures to expand social justice (see recent stories in Al-Jazeera and USA Today). Besides making better lives for themselves, gender-aware elite women, women with power, can have a positive effect on the working conditions, the salaries and the “work-life balance” of women (and men) affected by the policies they help to make. The blatant global inequities that exist are a travesty and will surely be seen historically as a stain on our era. But one way to begin to address these inequities is for us all to analyze our own contributions to gender inequities—as Sandberg and Slaughter have done quite eloquently—and communicate those so that others might consider and learn and begin to act differently. As such, the voices of “elite women” such as Sandberg and Slaughter can contribute to addressing social justice, even though they do not knowingly target such issues. It is women who go out into the forest, to collect firewood, water, and wild vegetation for meals and medicinal products. So it is them, who see the health of the tropical forest ecosystem, and the wildlife that depends on it.